Hello blogger!! 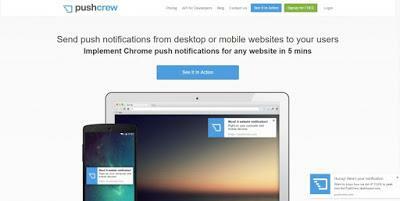 Today we're going to review the best push notification providers for websites and blogs. High click through rates since notifications reaches customers real time. 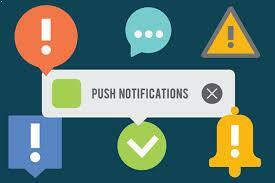 Ok push notifications are vital to any site, so which is the best site that provides push notifications to your blog or website? we've reviewed most popular and best push notifications providers. 2500 Active subscribers, 120 notifications a month, Mobile and Desktop notifications. Firefox, chrome and safari support, Multi language support, Welcome notification, Scheduled notifications, Https support, email support, Detailed analytics. 10,000 subscribers, 2 sites, Unlimited notifications, Multi action notification. 49$ per month if paid monthly and 42$ per month if paid annually. 50,000 Subscribers, Upto 3 sites, Upto 2 users, Push notification consultant, Custom branding and custom sub domain integration. 99$ per month if paid monthly and 84$ per month if paid annually. 1,50,000 subscribers, Upto 5 sites and upto 5 users, Drip autoresponder, Phone support. You shall quote a price by contacting pushengage team. Foxpush has over 10 million subscribers, Firefox not only supports firefox,chrome,safari but also opera and android. 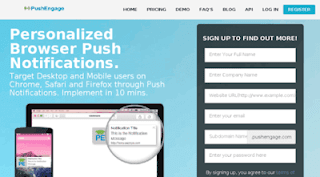 Fox push was founded in february 2016, and has no popular site using its service. Supports all major browsers like Google chrome, apple Safari and Mozilla Firefox. Pushify is a new site, so no popular website is using its service. Unlimited subscribers, unlimited push notifications, unlimited websites, unlimited categories, free social business page, inbox, all languages pushes are supported, geo targeting, free WordPress and joomla plugins, scheduled notifications, mobile notifications, Rss to push, Facebook to push and Twitter to push. Custom branding, retargetting module, remove subscribers, mobile number verified subscribers, Facebook to push, RSS to push, Twitter to push (multi). You should contact the pushify team to quote a price. All features for absolutely free of cost!!! Please note that the default category code doesn't work properly, you need to add a category to get new code that works. You should contact onesignal team for price and features. Android apps, ios apps and all browser support, all for free!! If you are using subdomain site or normal site, you are okay with few bugs, then pushify is the best. If you are okay without social media to push support, if you crucially need opera browser support, your site is not built on WordPress, okay with Limited subscribers or ready to pay few bucks then foxpush is best. If you are ready to exchange money for best services then pushengage is the best option. Sir In OneSignal it supports subdomain also. I'm Using in my Subdomain Edu FreeSV And i think it's not unlimited subscribers. Because i didn't tested. It should be noted that with FOXPUSH you cannot export your subscriber list and if you want to move to another service they will hold your Firebase API key and ownership hostage and not grant you access. After many issues with their platform (website down, very slow to issue alerts, alerts not sent to everyone, incorrect alerts sent from previous campaign, etc.) we had enough and decided to move to another service. After contacting them through both their live chat support and also their support ticket system, they told use they would fix all the issues. After another month, all the same issues remained. We then made the decision to move to another service. We contacted FoxPush and requested our Firebase API key... no response. Again and again we have contacted them requesting it, but no response. Basically they are holding our API key hostage. We have since filed complaints with both Google Firebase and also the ACCC (Australian regulators) so hopefully they will be stopped from carrying out these sort of "blackmail" type business practices soon.